Figure 2. Hoses and Tubes (Right Side). Figure 3. Hoses and Tubes (Left Side). 1. Attach three slings (Figure 1, Item 1) and lifting device to lift frame (Figure 1, Item 3). 3. Lower lift frame (Figure 1, Item 3) onto trestle. 4. 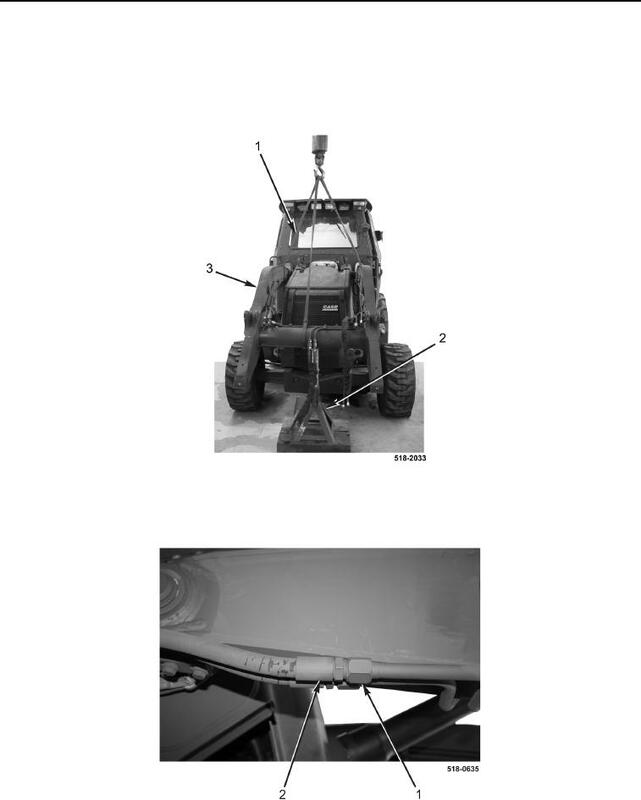 Disconnect two hoses (Figure 2, Item 2) from tubes (Figure 2, Item 1) on right side of loader.